Brian Johnson and Mark Johns, from Kelleher & Sadowsky of Worcester, recently leased ±7,700 SF of warehouse space at 32 West Main Street in Brookfield, MA. LG Design Stone leased the space for granite manufacturing and fabrication. 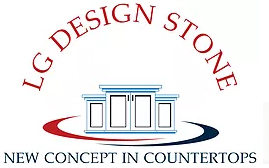 LG Design Stone works with residential and commercial clients, including architects and designers. They provide countertops in granite, soapstone, marble, and quartz.